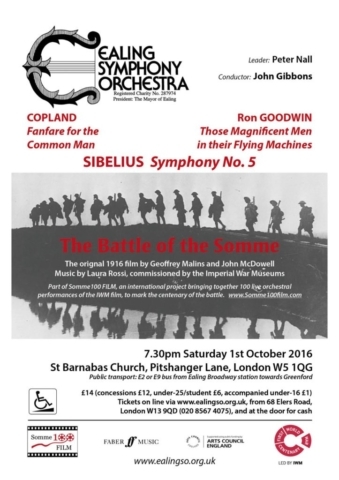 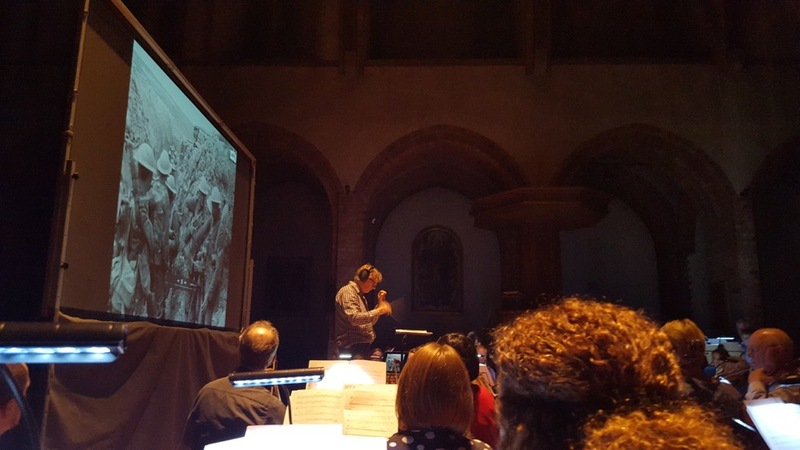 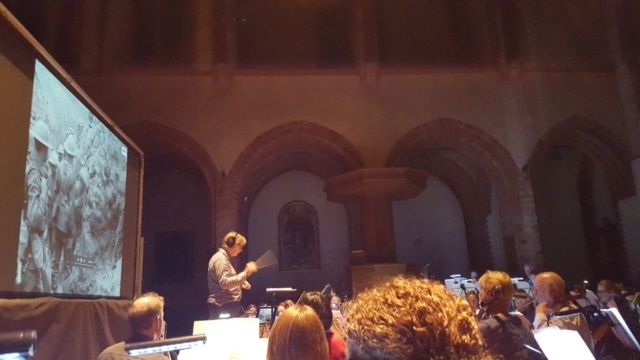 Ealing Symphony Orchestra put on a very ambitious programme which not only featured The Battle of the Somme film but also Sibelius Symphony no, 5 and 2 other pieces. The orchestra performed brilliantly and with immense concentration, especially after such a long first half! 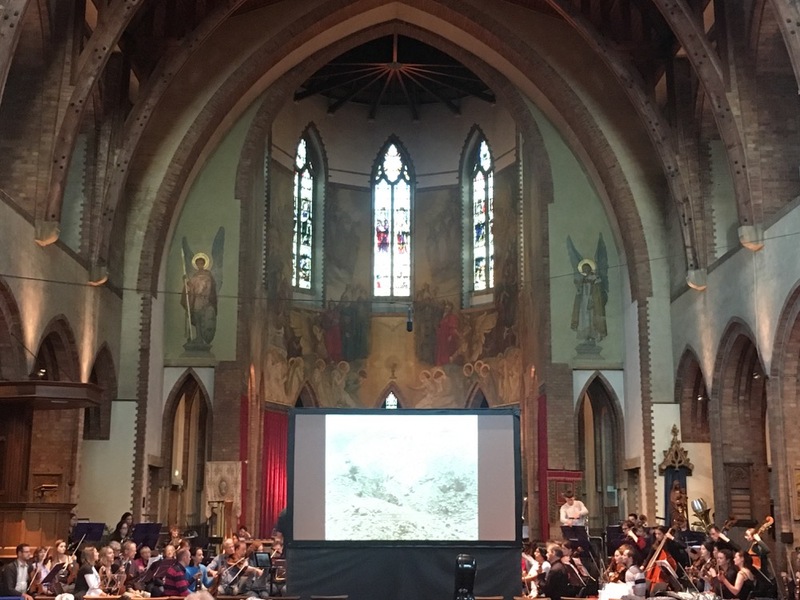 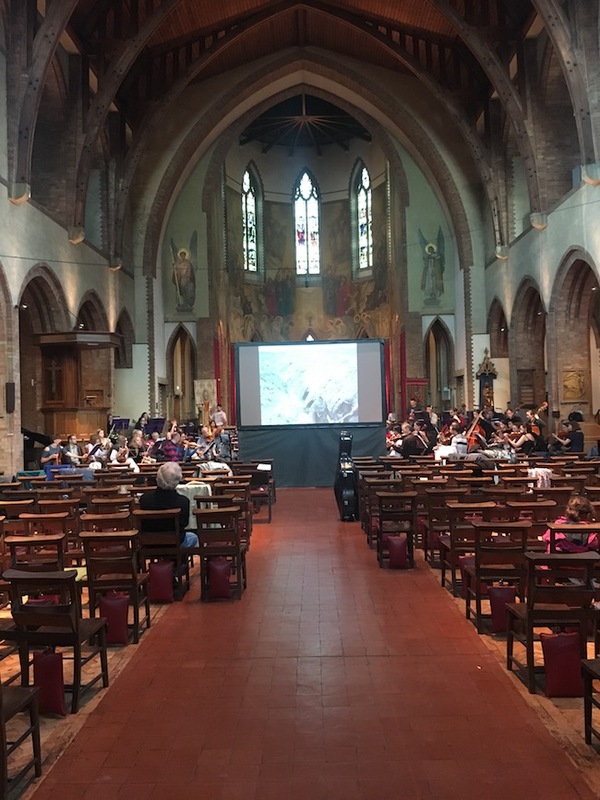 The concert was also attended by some musicians from Ealing Youth Orchestra who wanted to get to know the film and music ahead of their performance next month. 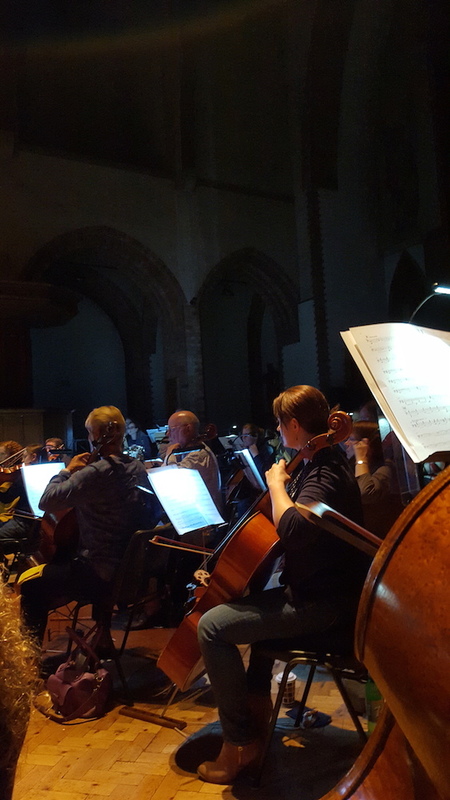 One audience member claimed to have spotted a relative in the film. 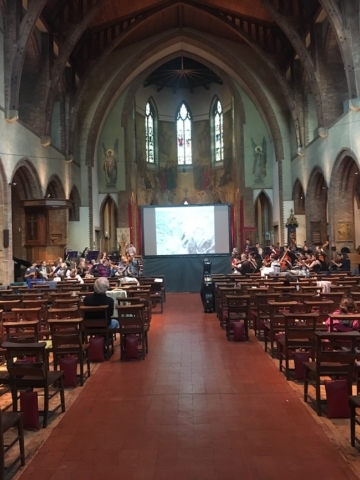 As a member of Ealing Symphony Orchestra for many years this was a very special screening for me as I got to also play violin in this (at the back of 2nds!) 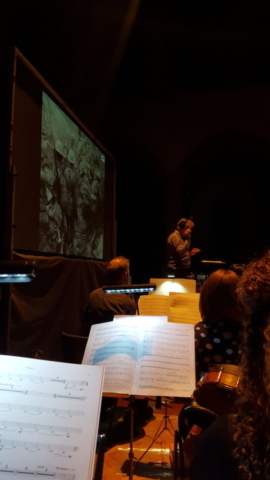 so it was great to be part of it in a different way and hear it all come together in the rehearsals. When I was first commissioned to score The Battle of the Ancre (back in 2002) the IWM only had the budget for a string trio, but after watching the film I felt that it really needed an orchestral score, so I asked John Gibbons and ESO to perform the premiere of this live with film in the Imperial War Museum cinema back in November 2002. 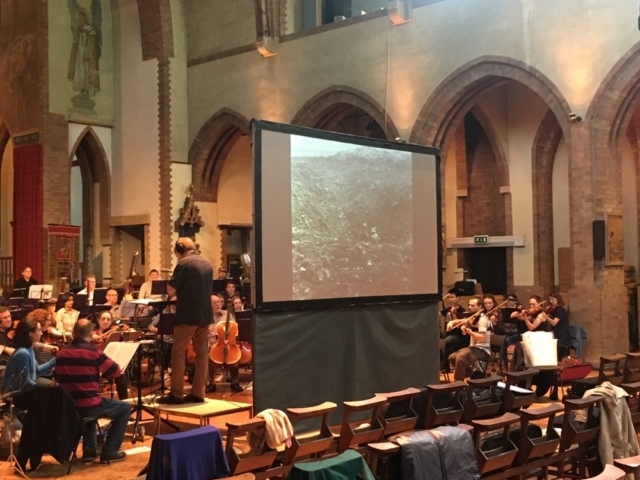 It was really the success of this that led to the IWM commissioning me to score the Somme film, so it was very special to have them perform this score too.